Hi there! 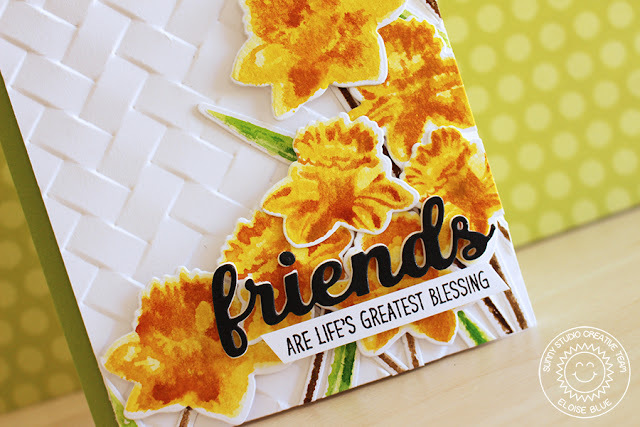 I'm up on the Sunny Studio blog today to feature the new Daffodil Dreams stamp set. I love all these sets that Sunny Studio is releasing, they're so much fun! Today I used Distress Inks with them to give an imperfect look. Check out the blog today to see how I made this card!